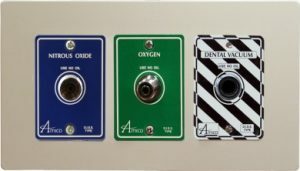 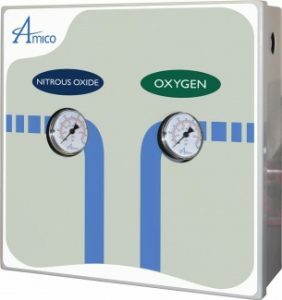 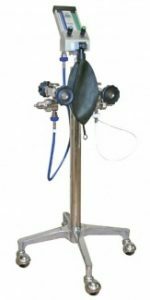 The Amico Dental Manual Manifold is a cost effective manifold for any dental facilities’ centrally piped Nitrous Oxide/ Oxygen system. The Manual Manifold Package allows central control of both gases while being monitored by either the Amico Alert-2 or Alert-3 Alarm. 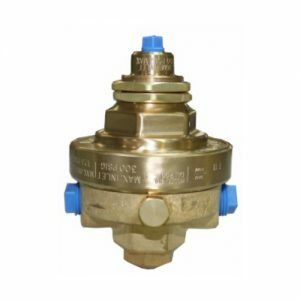 Constructed with a metal frame and cover, the manifold will provide years of trouble-free service while providing a safe centrally piped system. 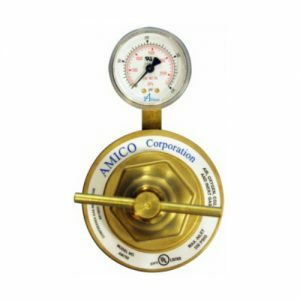 Backed by the same alarm technology used in hospitals worldwide, the Amico Dental Manual Manifold will provide years of reliable service with accurate monitoring. 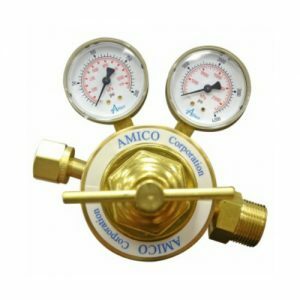 When paired with an Amico Alert-3 or Alert-2 Alarm, the manifold can be monitored to provide an alarm when a high/low limit set point is met. 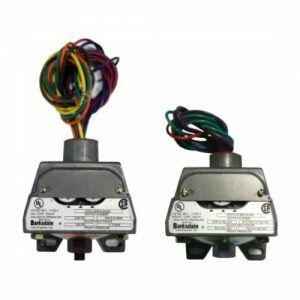 The alarm will provide a digital readout of the main line pressures and can be centrally located allowing easy notification if attention is required. 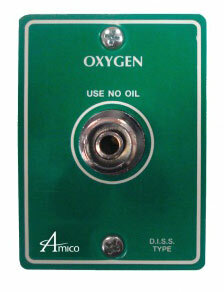 This alarm can be located in a common area anotifying staff if attention is required. 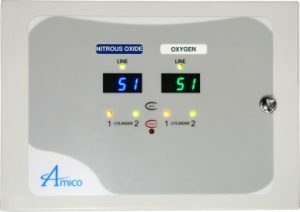 If fitted with an Amico Alert-3 LCD alarm, the gas info is displayed on a 10″ LCD screen, very appropriate in today’s world of high tech offices.